Thanks to state of the art technology, computer aided manufacturing and a team of experts we are able to manufacture all sheet metal parts, welded constructions and other nonstandard products for HVAC and other fields. 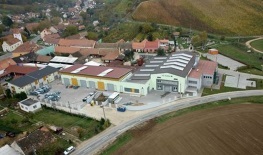 In case of serious interest to visit and see our production plant, please contact us. Vlastníkem AZ KLIMA a.s. je společnost ČEZ ESCO. © 2016 AZ KLIMA a.s.